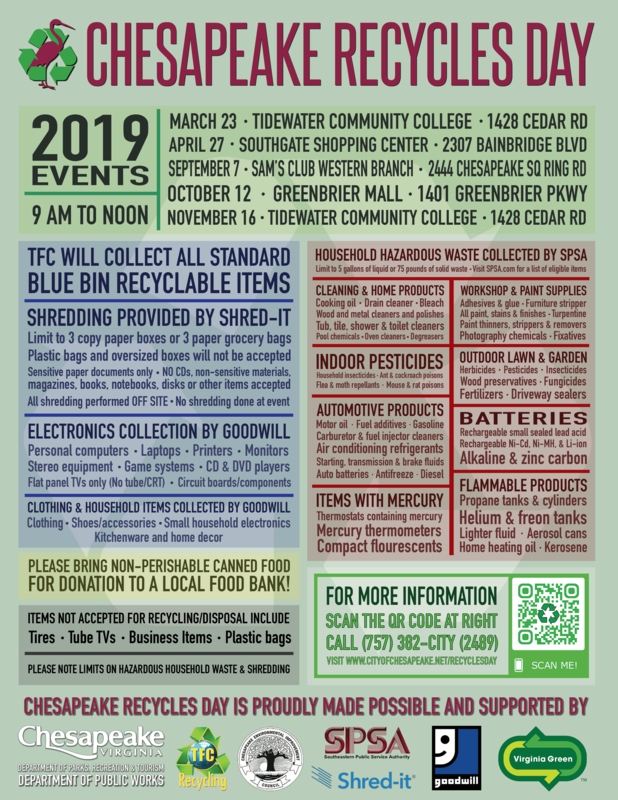 Bring your old electronics, sensitive documents and household hazardous waste to be recycled at Chesapeake Recycles Day! What Can I Bring For Recycling? 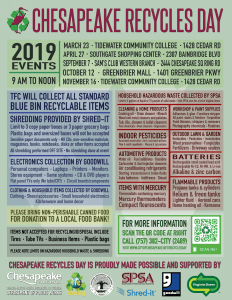 Goodwill, SPSA, Shred-It and TFC Recycling are partnering with us to collect a wide variety of items at each of our events. In general, accepted items will include electronics, clothing, household items, household hazardous waste, and sensitive documents. Click on the flyer below for more detailed information.